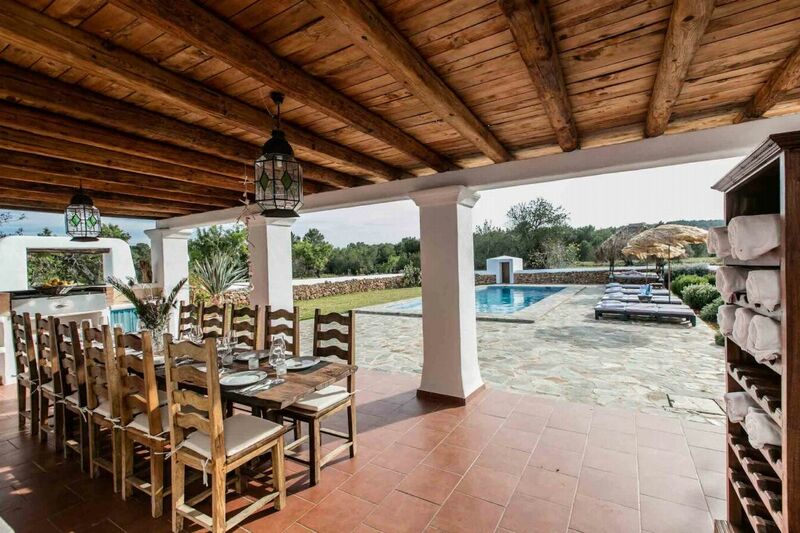 Recently restored private county house with large outdoor entertainment areas and living space. 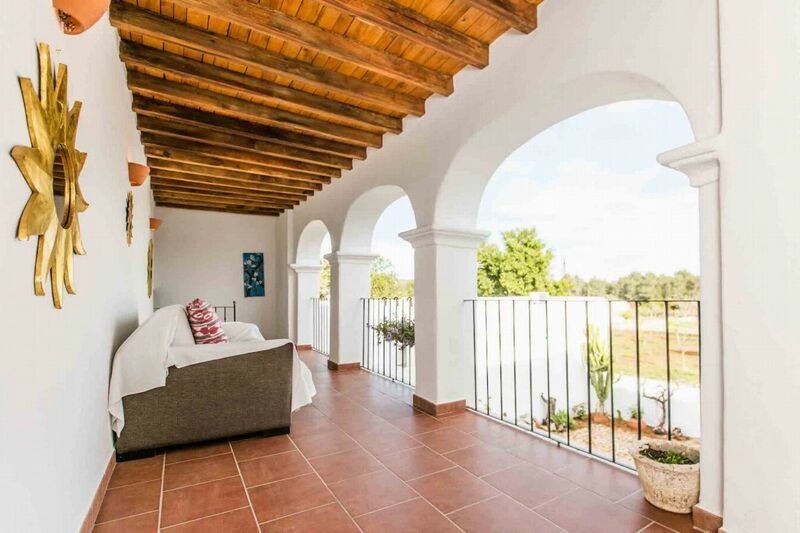 This is a beautifully restored country villa with large area of land for total privacy, multiple terraces and a separate guest house with its own kitchen and living room. 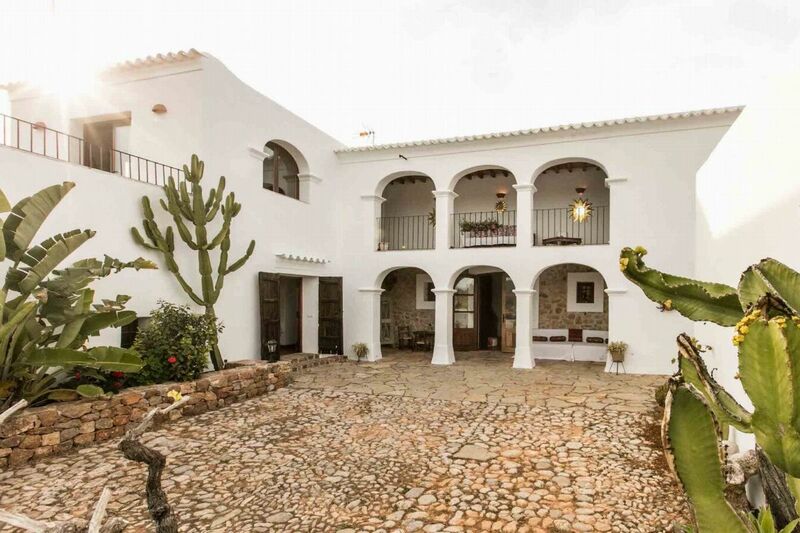 Built 300 years ago its owner has completely renovated this property. 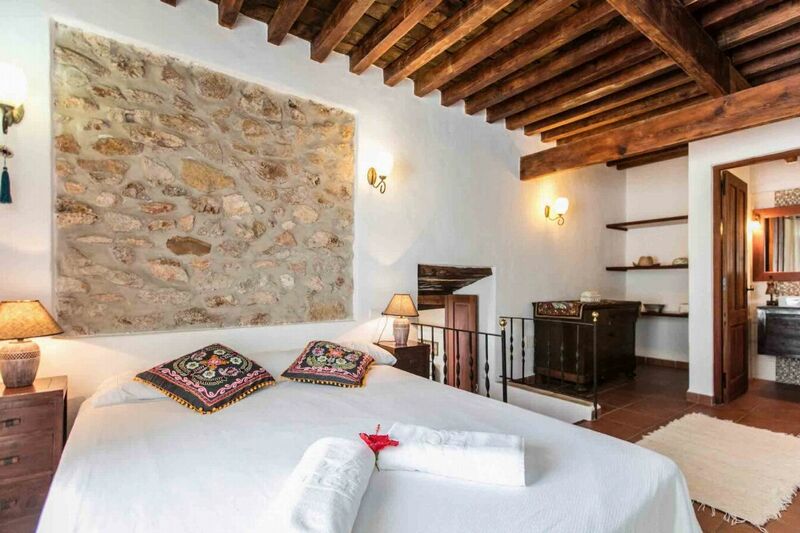 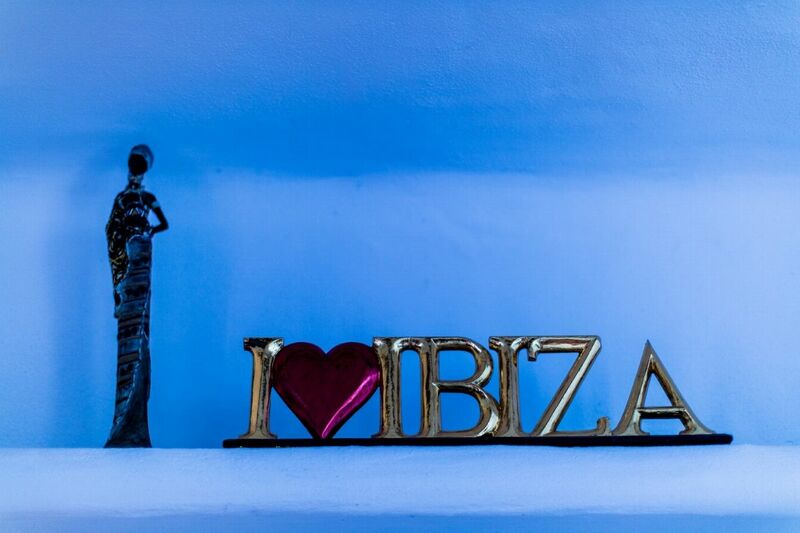 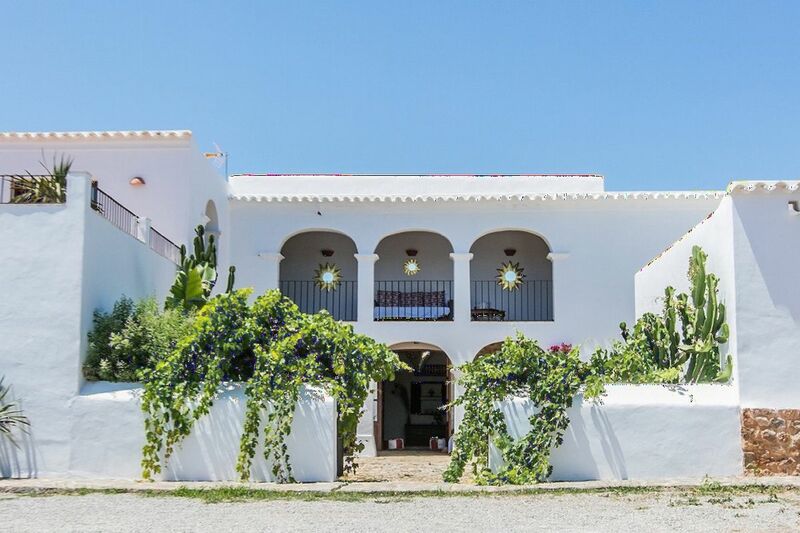 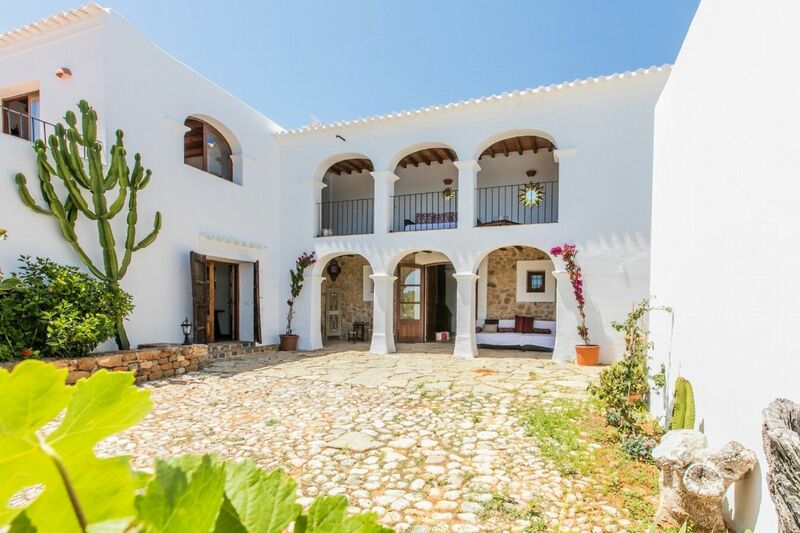 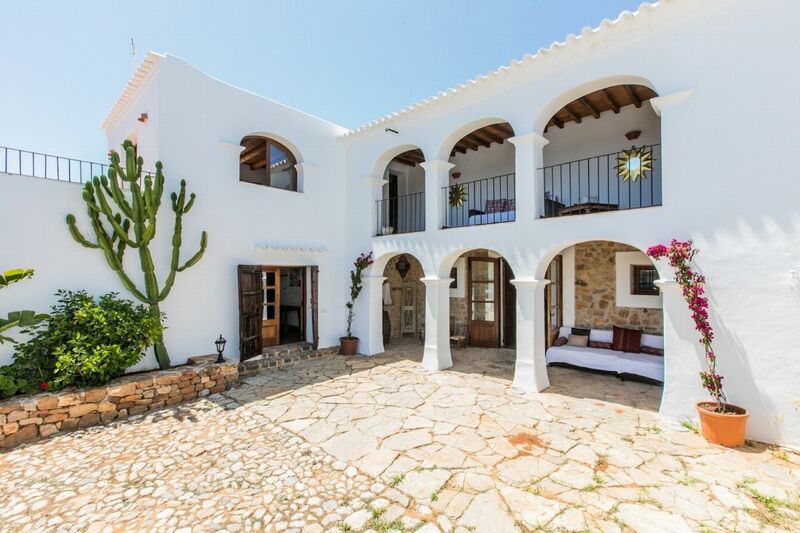 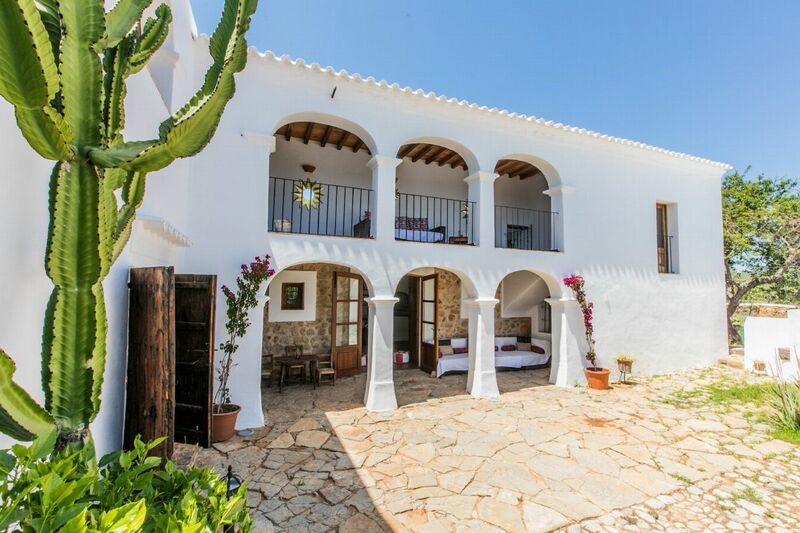 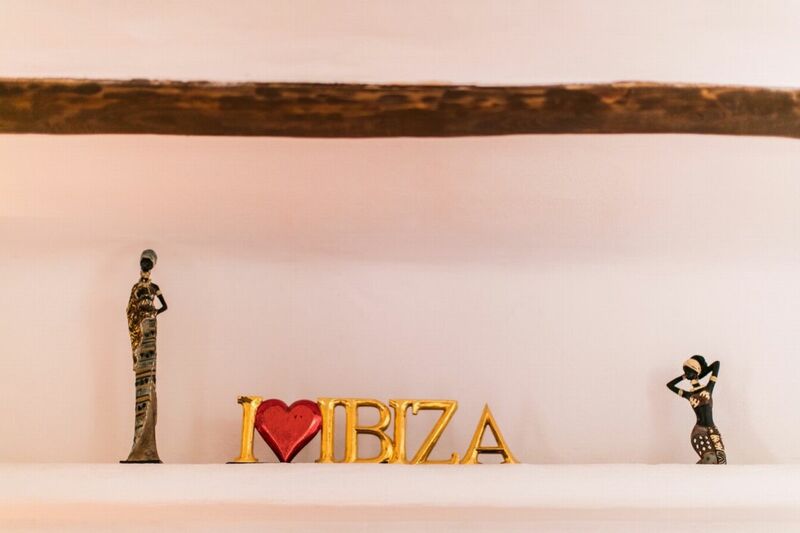 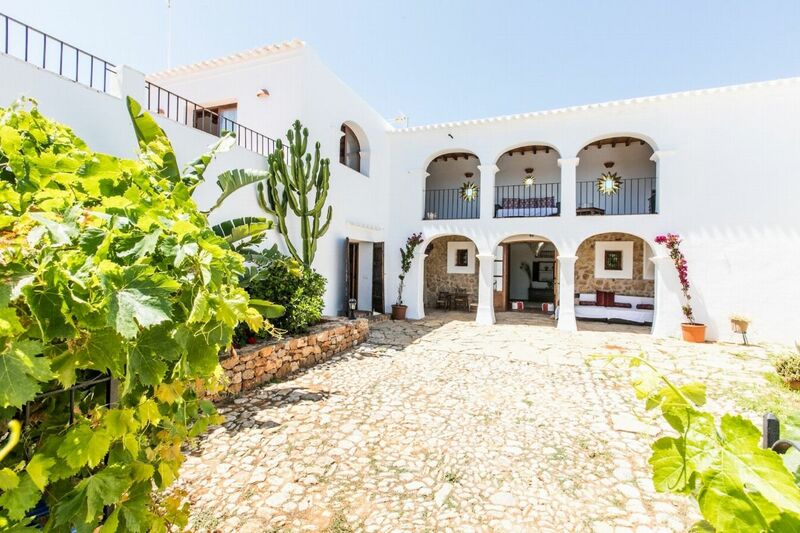 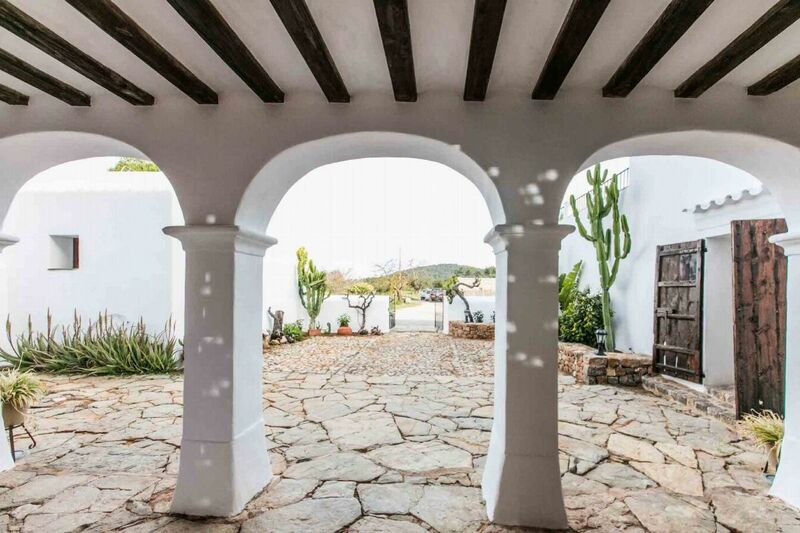 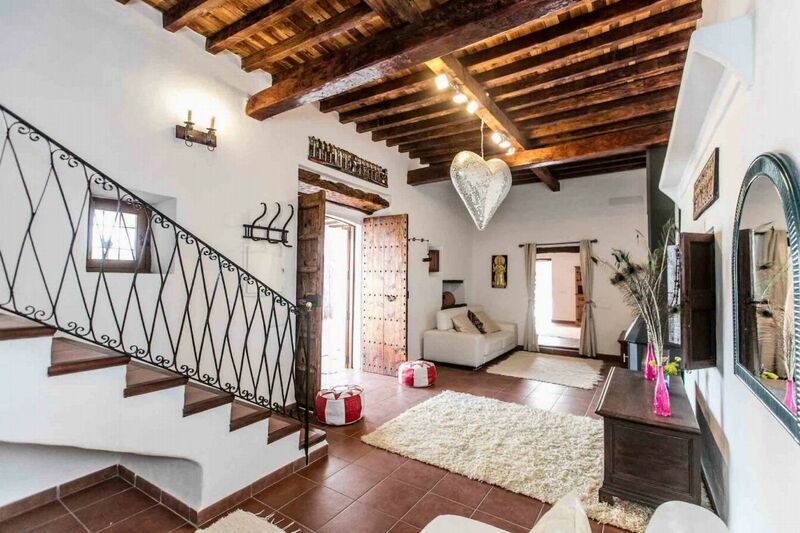 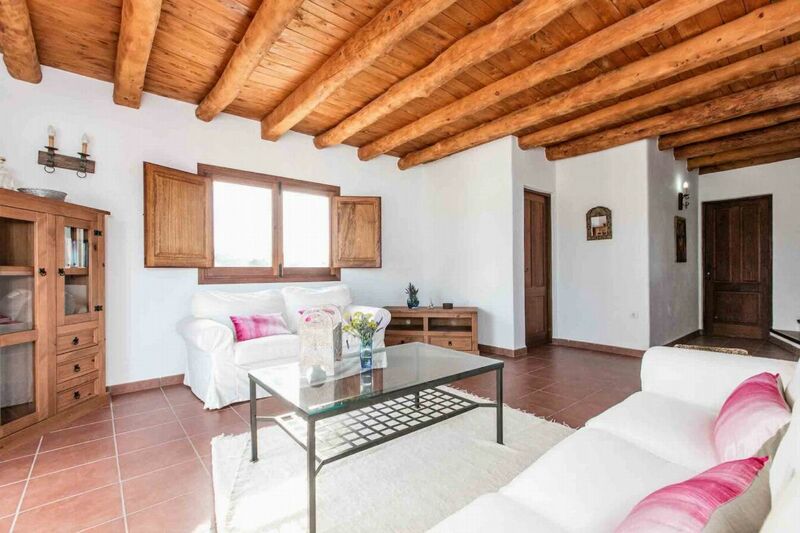 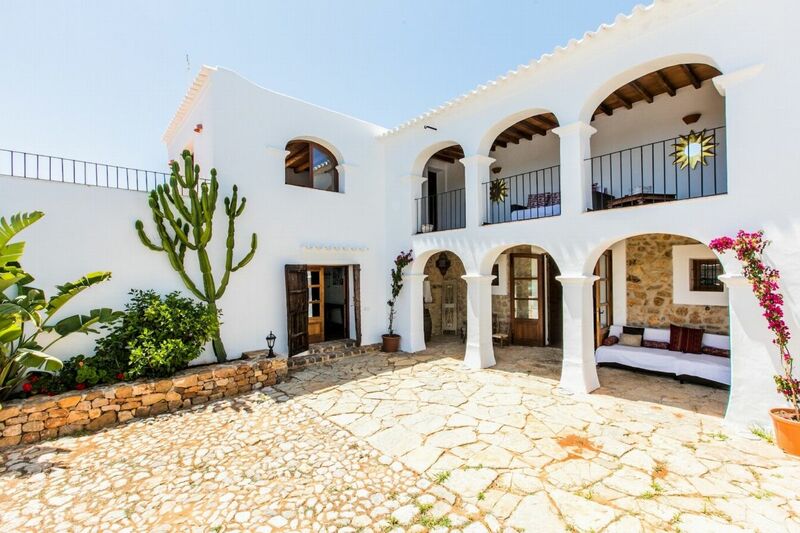 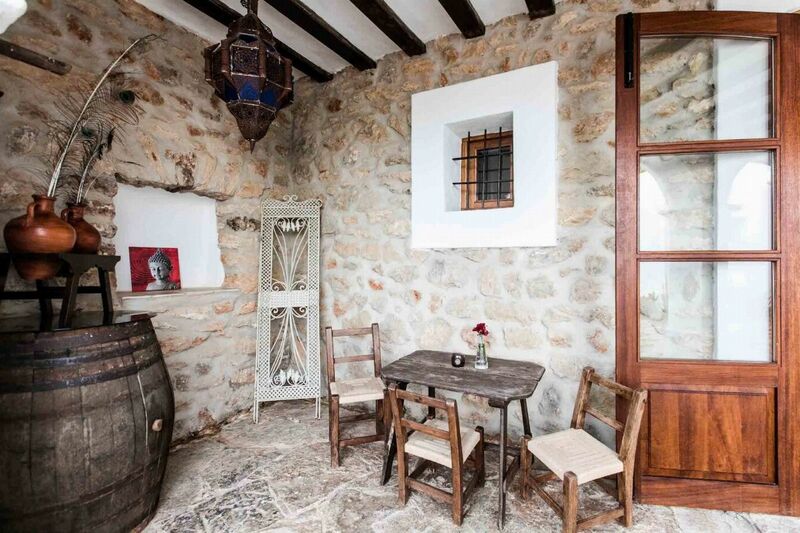 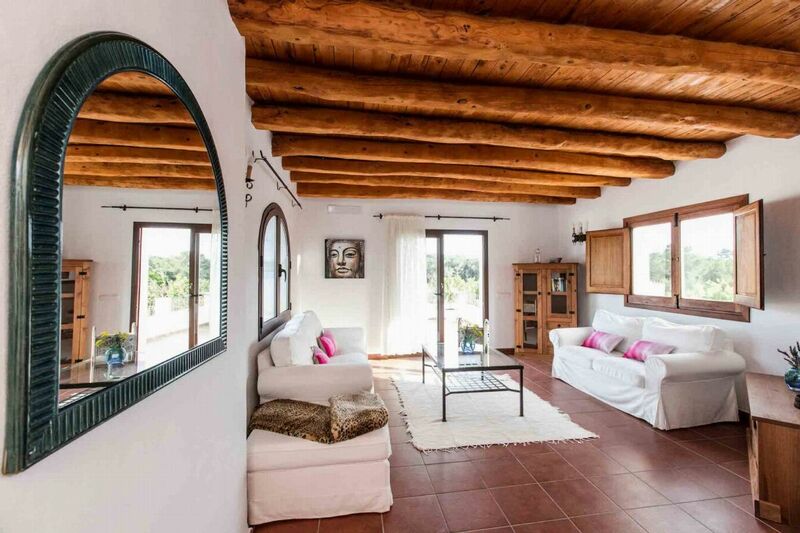 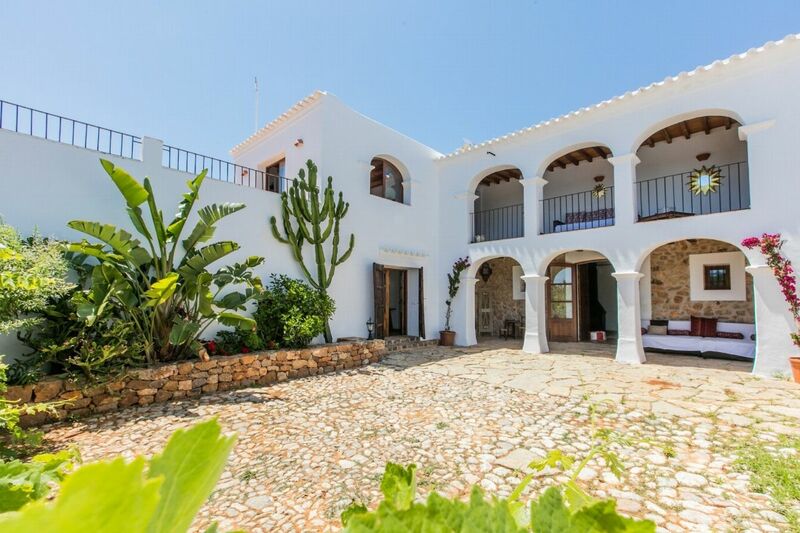 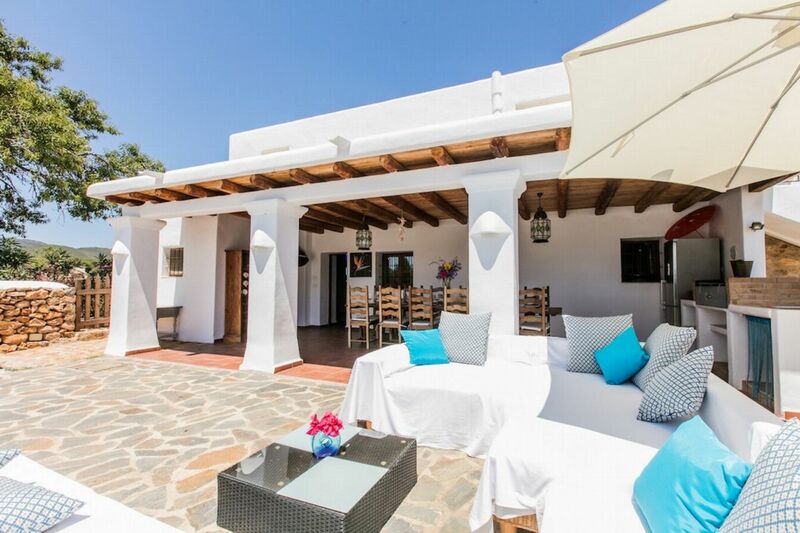 It still has the original wooden beams and has been carefully decorated and furnished with unique products found on many different markets in Ibiza. 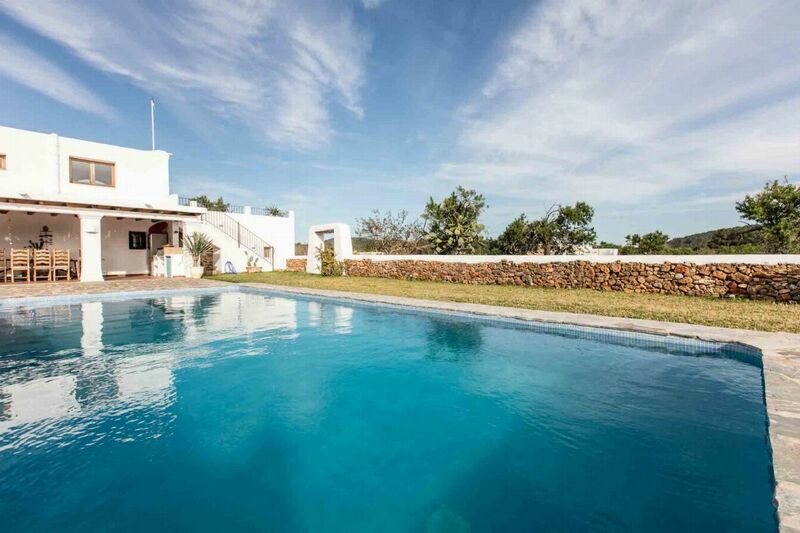 The many beaches on the north east are close by - a short 10 minute drive. 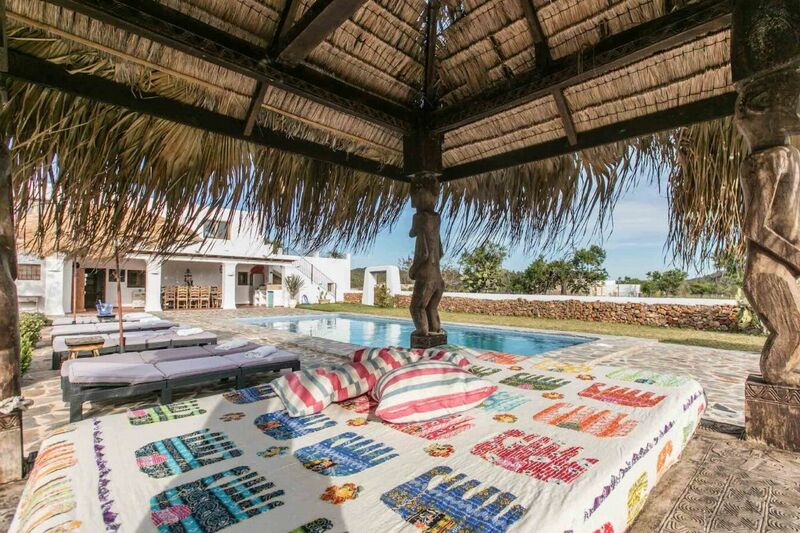 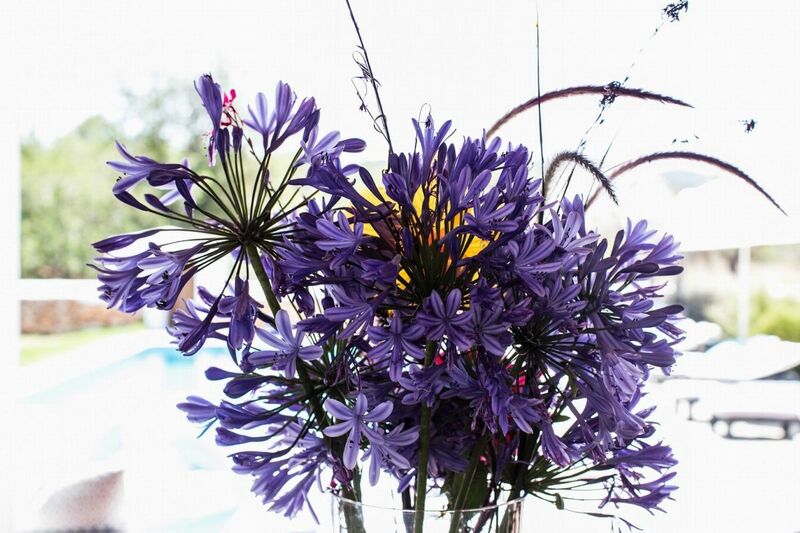 You are also close to the famous hippy market Â´Las Dalias Â´in San Carlos. 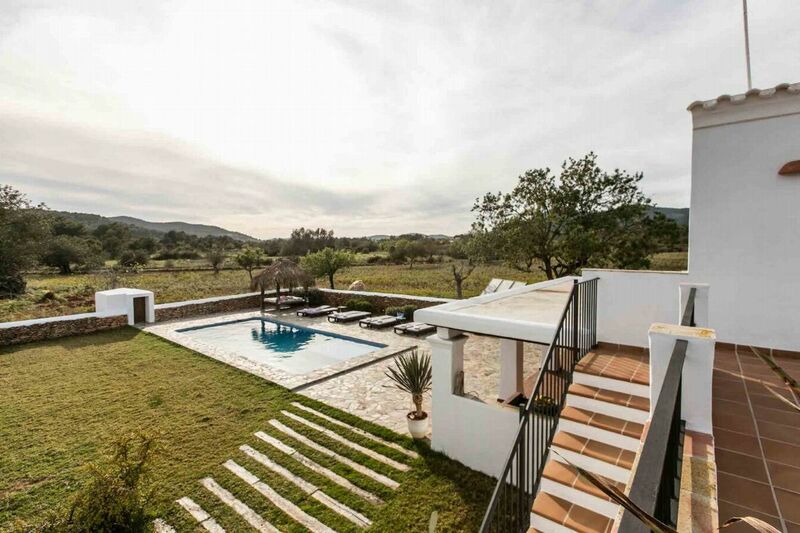 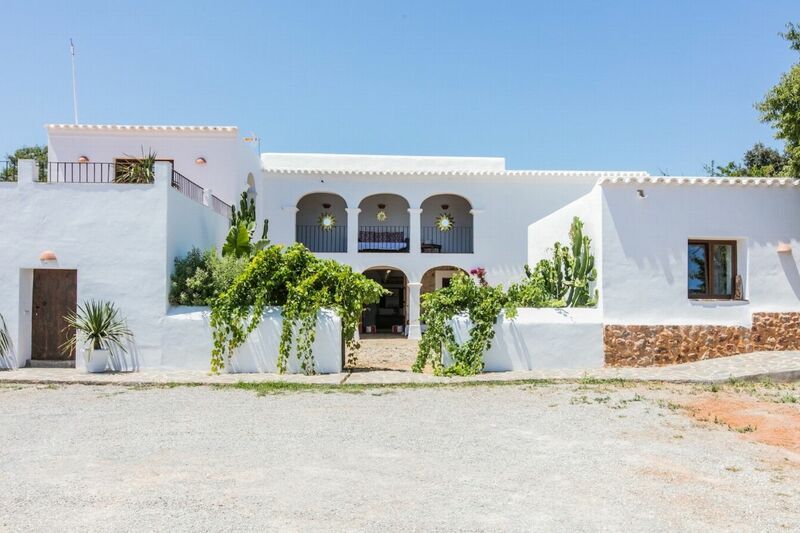 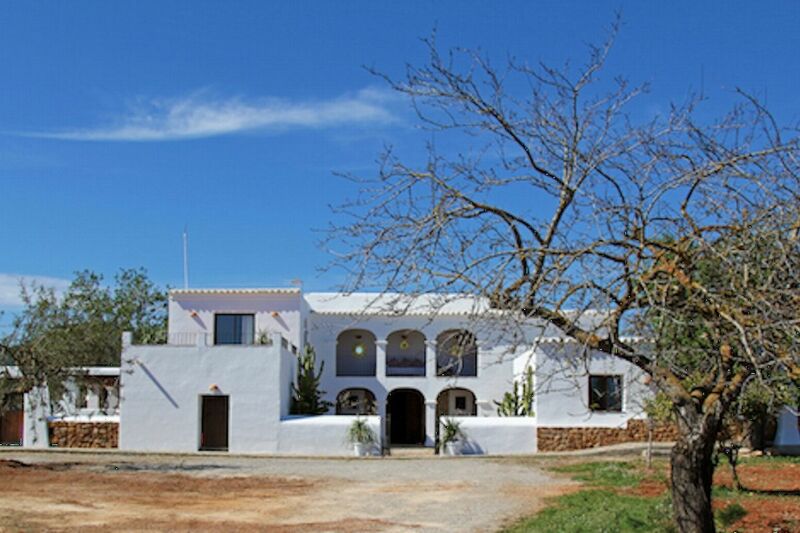 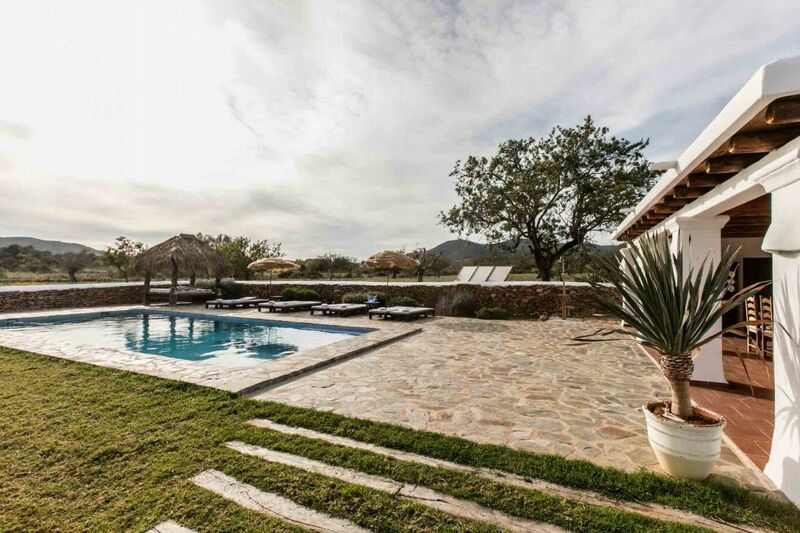 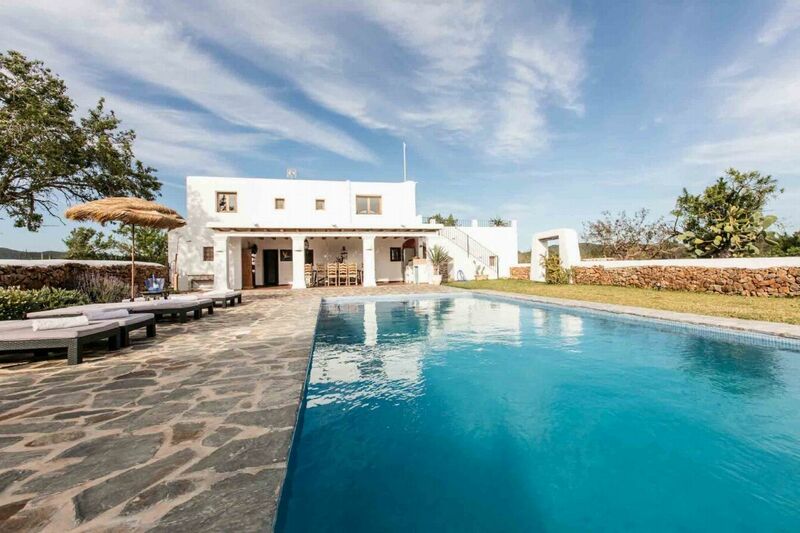 The villa is situated in the north, close to the village of San Carlos. 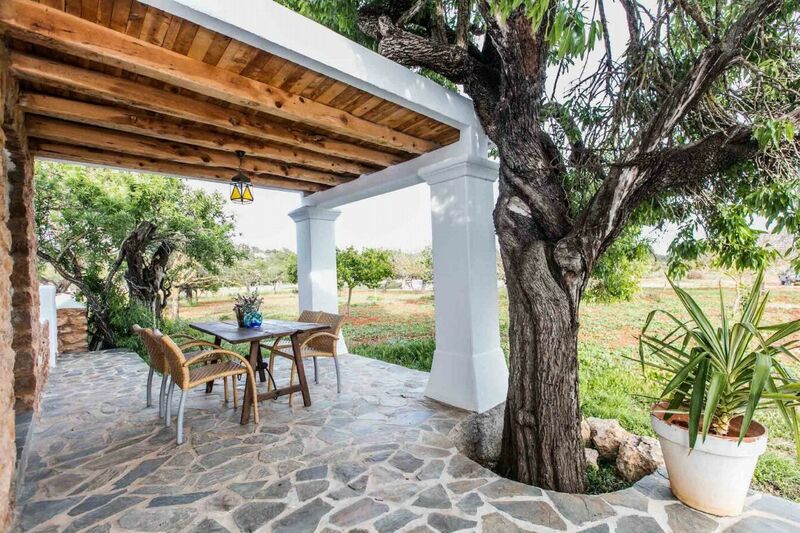 Set in the peaceful countryside, there are plenty of nature walks, fruit trees and vegetable gardens, with sheep and horses as your neighbours. 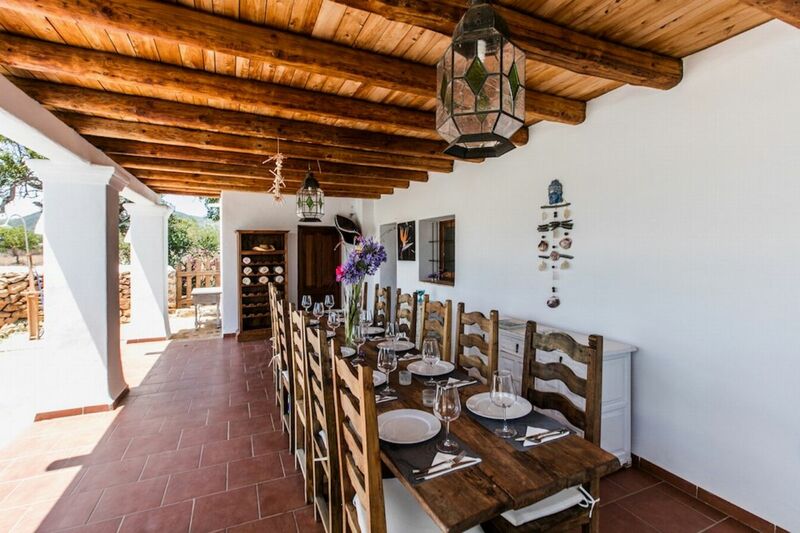 OUTDOOR AREAS This property boasts a vast area of land with stables, fruit tree plantations and a smaller villa where the house manager lives. 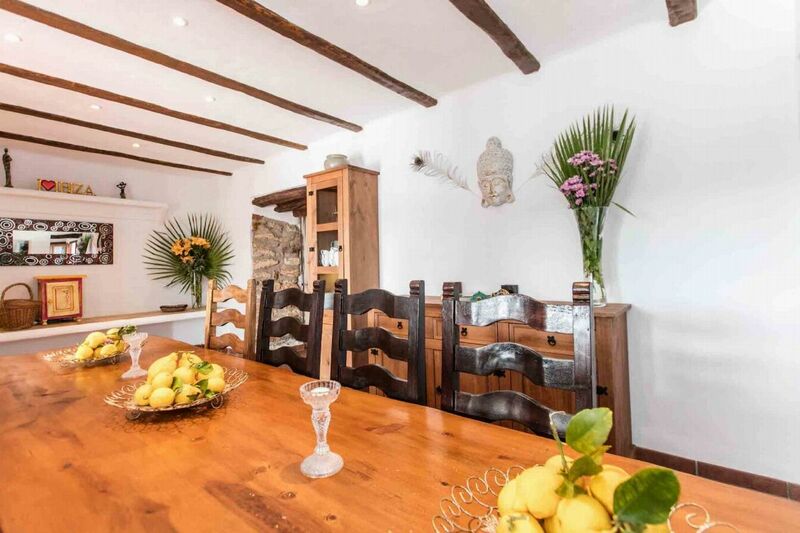 She can assist with anything guests need, including breakfast, extra cleaning, maintenance etc. 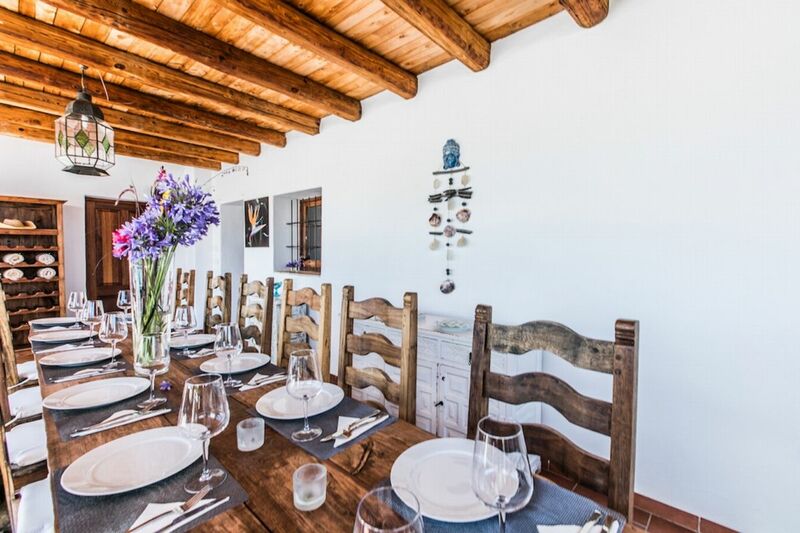 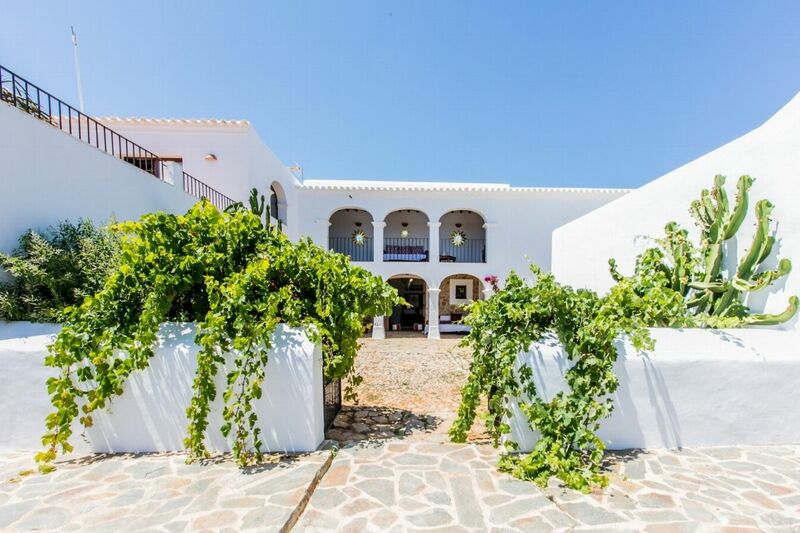 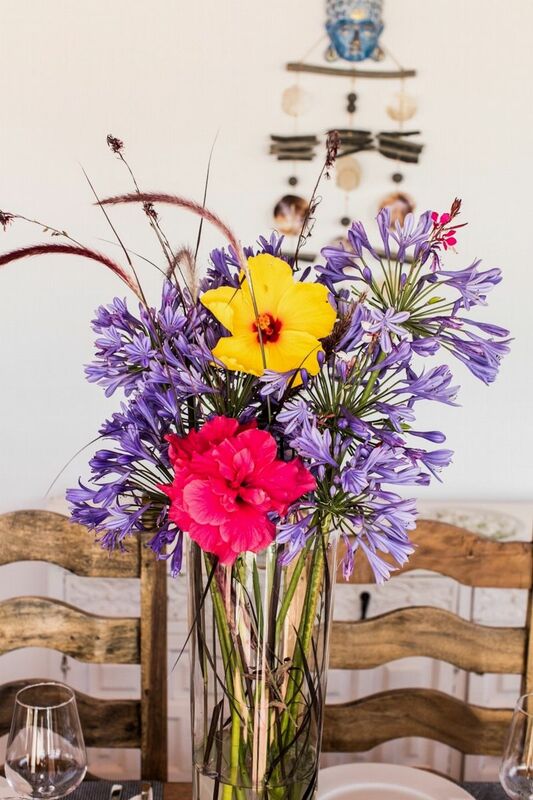 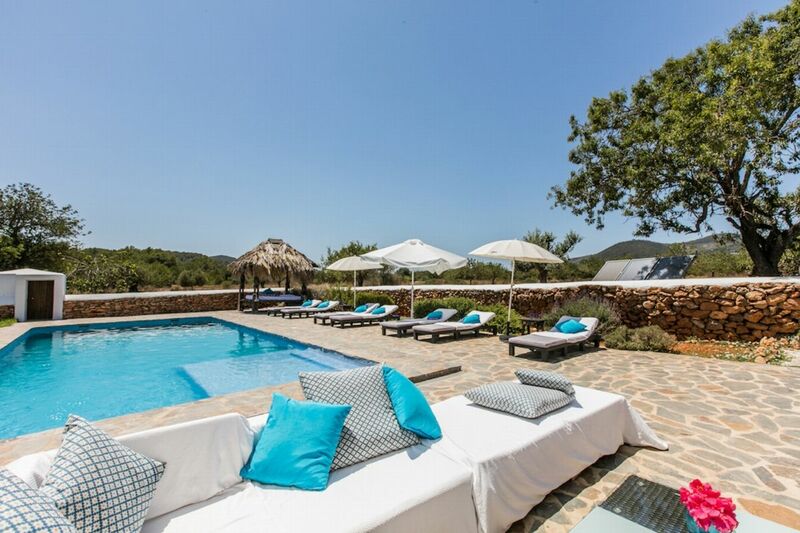 (at extra cost) The villa has an outdoor kitchen with a spacious BBQ area, there is a huge wooden table for 14 guests making this area ideal for meals during the warm summer months. 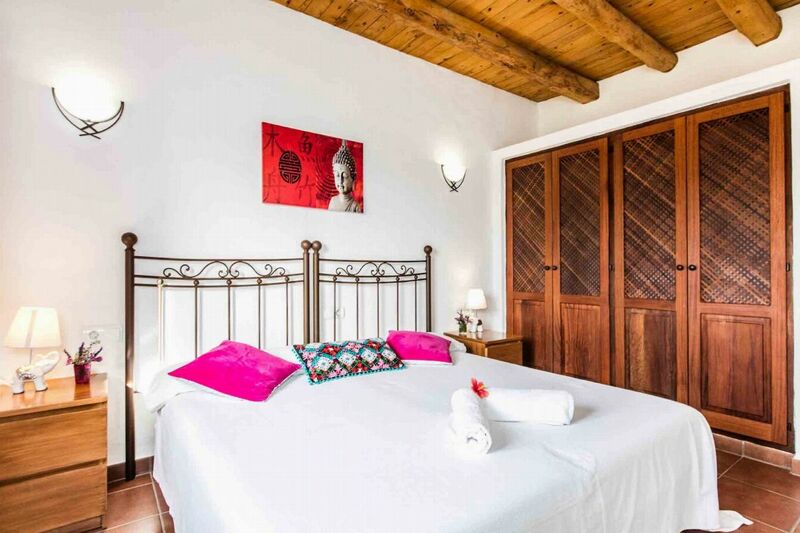 There is a large private pool surrounded by sunbeds, a 4 poster Bali bed and a beautifully maintained garden. 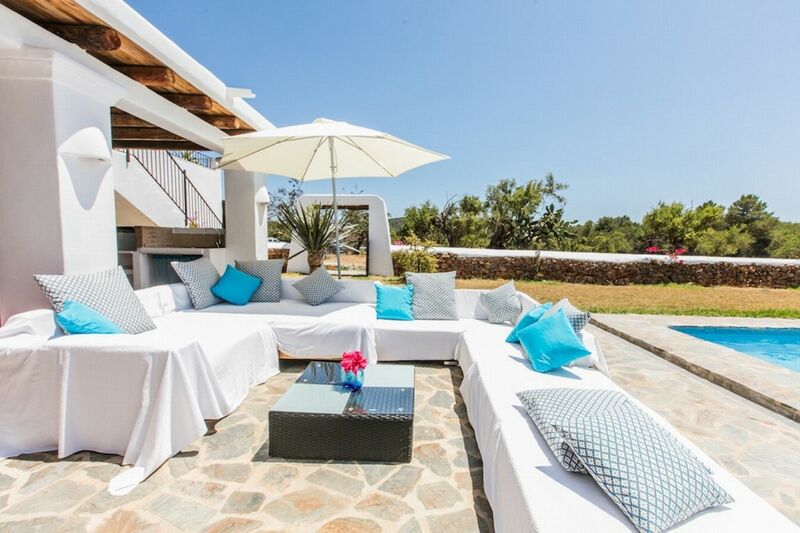 Around the villa are several chill out areas and terraces. 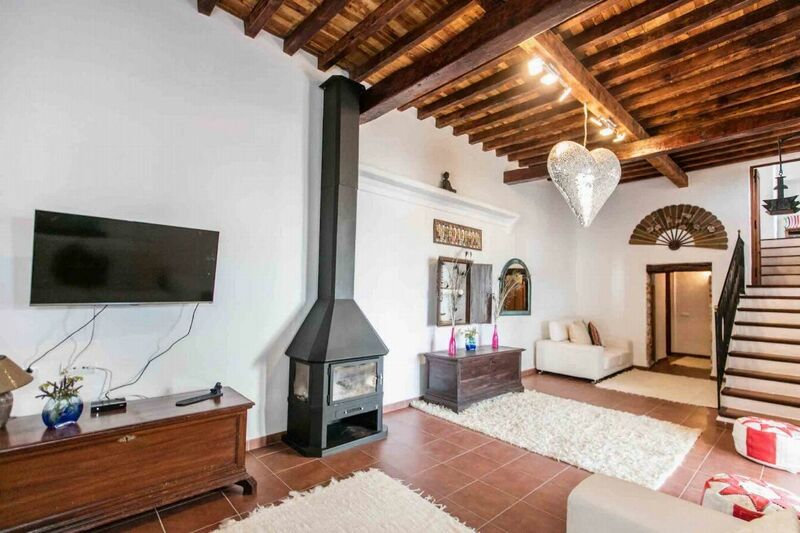 LIVING AREAS The lounge area has been beautifully furnished with large comfortable sofas, TV, high ceilings and fireplace. 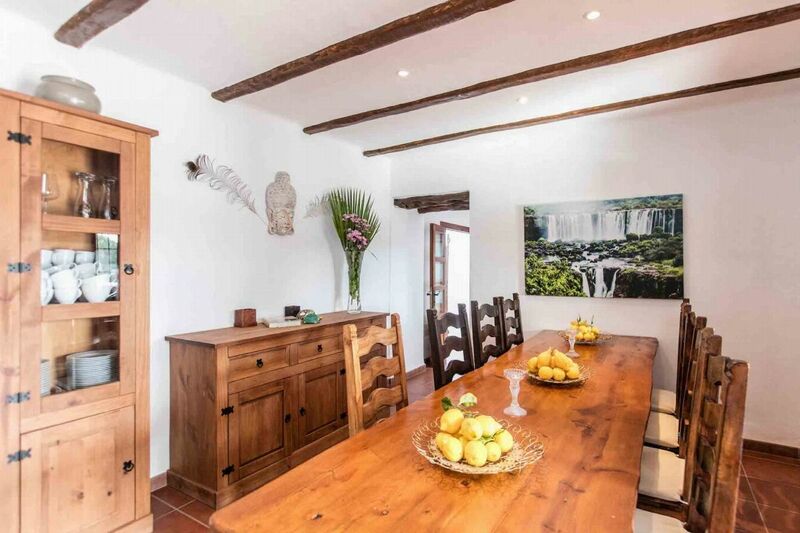 On the same floor you have a separate dining room with large dining table and direct access to the outside dining area and pool. 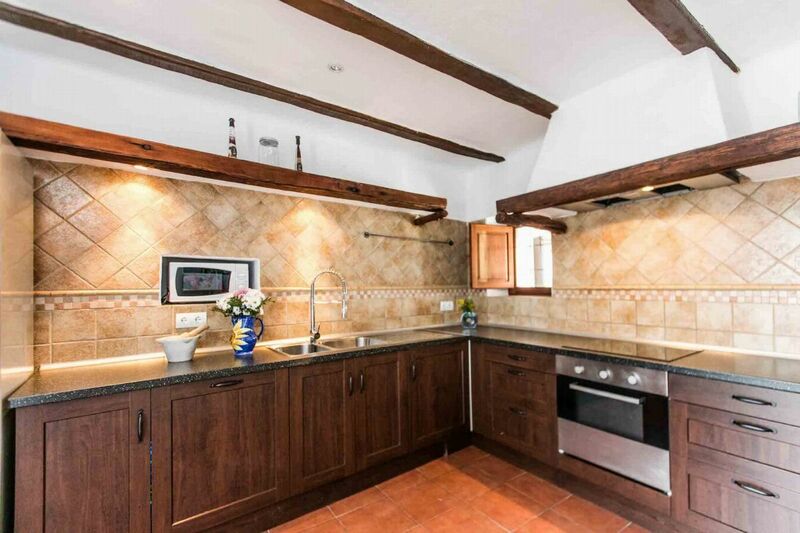 The kitchen is large with all modern appliances, fully equipped for cooking and serving 14 guests. 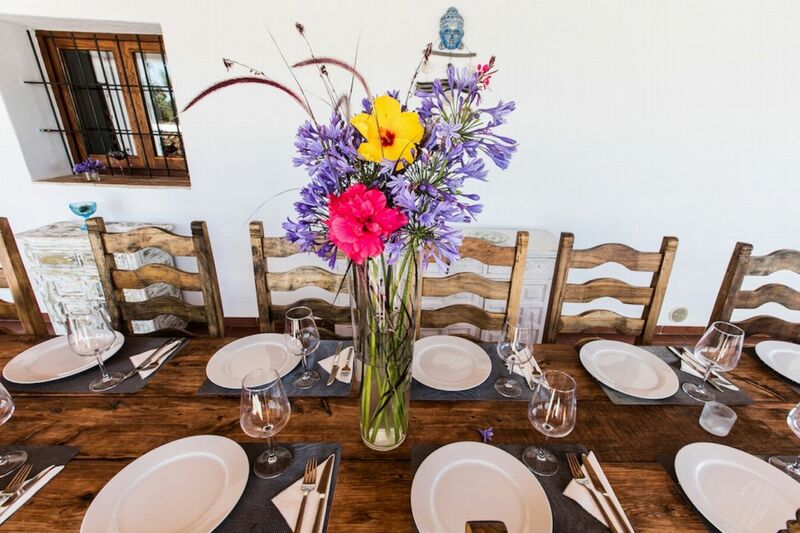 The guest house also has its own living area with an open plan lounge, dining area and kitchen. 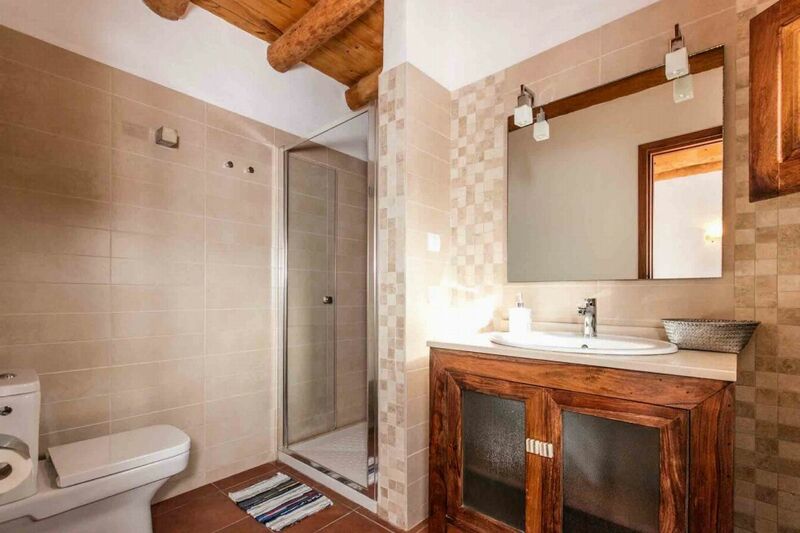 located on the ground floor, with en-suite bathroom with toilet and shower. 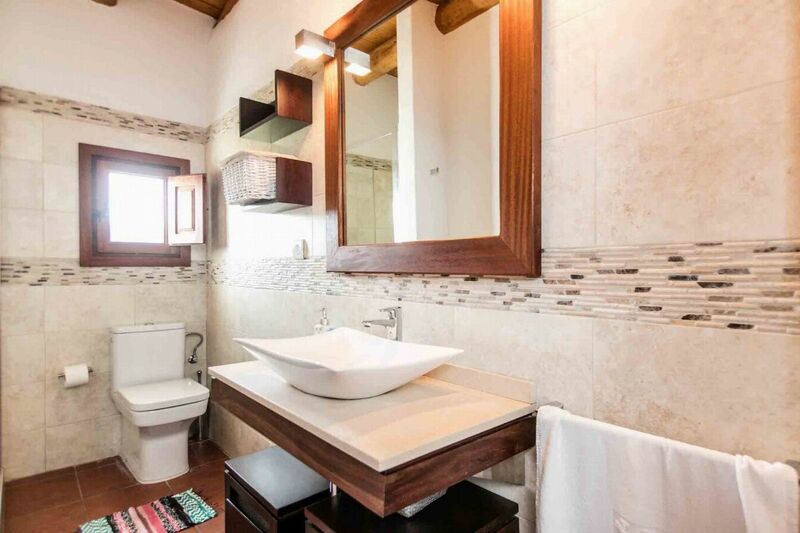 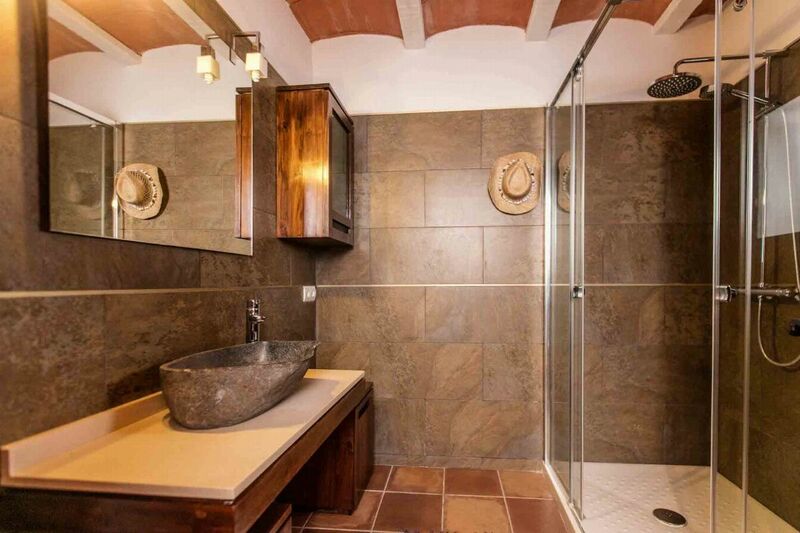 in a separate guest house just next to the main villa with its own entrance, en-suite bathroom. 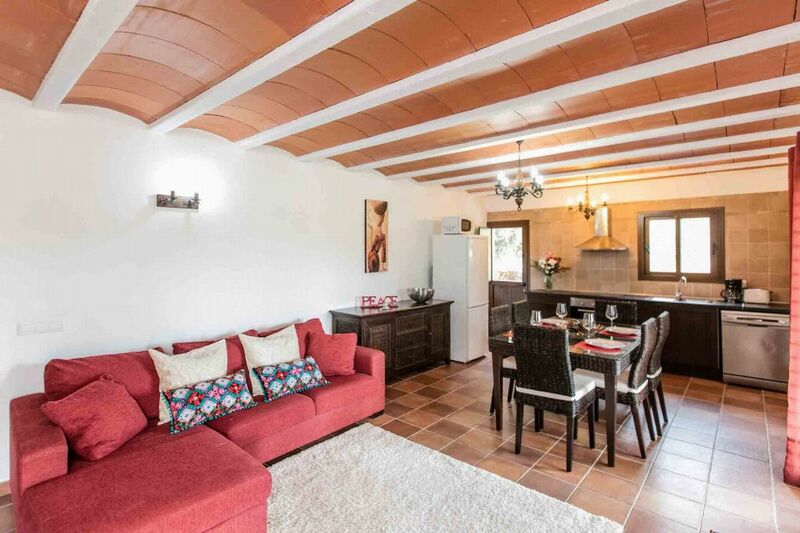 Here you have an open plan kitchen with dining table and lounge with 2 sofas and TV. 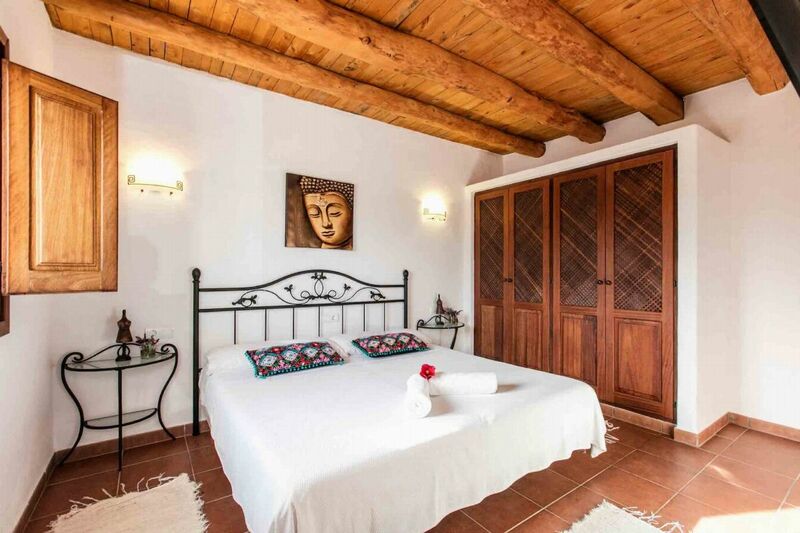 n a separate guest house just next to the main villa with its own entrance, en-suite bathroom. 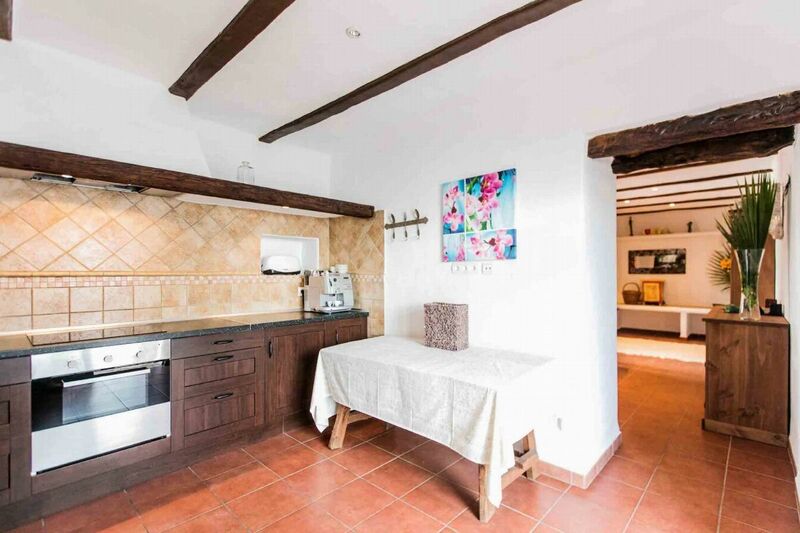 Here you have an open plan kitchen with dining table and lounge with 2 sofas and TV.